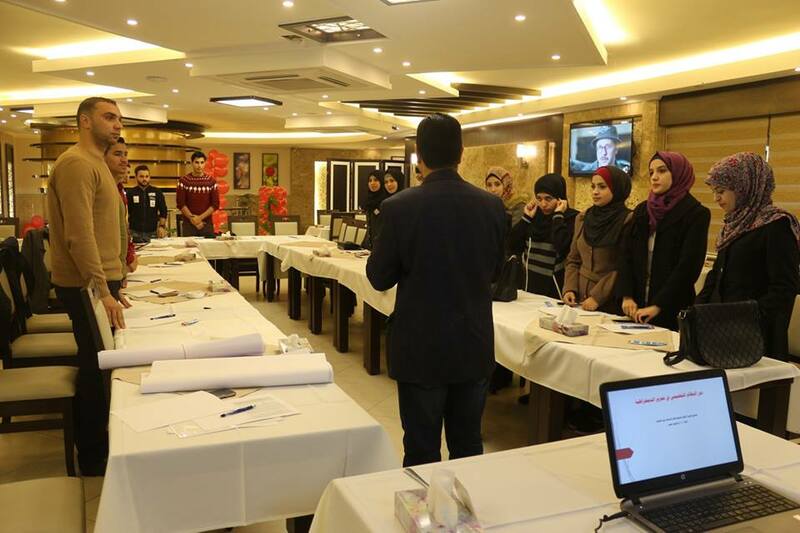 As a part of “Promoting Democratic and Civic Values for Youth” Project, Pal-Think for Strategic held the ninth session “The Role of Educational System in Promoting Democracy”. This lecture is a part of a series of sessions held by Pal-Think in the field of democratic education. 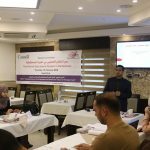 It was delivered by Mr. Ibrahim Abu Muammar, Head of the National Organization for Democracy and Low, in the presence of a group of 20 young men and women from different universities and governorates. Mr. Abu Muammar started the session by asking participants about their expectations about what they would receive during it. Later, he discussed with them these concepts: education and democracy, their relationship with one another, mechanisms of activating democracy within Palestinian educational system and possible solutions for stabilizing the democratic system. He also expressed that a society cannot be democratic without believing in private and public freedoms and human rights. A democratic community should believe in the legitimacy of difference, dialogue, and tolerance. This simply can’t be achieved without the true raising up based on democratic principles. In addition, he recommended that programs and curricula should provide a confidential legal material that qualifies learners to recognize his/her rights and duties in order to be a truly democratic person. He discussed with participants about the Palestinian educational system and its relevance to democratic concepts. Their points of view varied on whether the problem is the curriculum itself or the way it is delivered and applied. Finally, the lecturer and participants discussed about the necessity of reforming the education process regionally. Their answers focused on the fact that education is the basis for other areas of life. In other words, if the educational process is created, depending on the democratic philosophy, the community will be better. Thus, democratic education is a necessity for a democratic society as well as economic and social development. 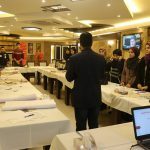 Interestingly, this session was the eighth of a series of 10 educational lectures and radio workshops to be convened on democracy and political development in Palestinian society, as well as three training courses on anti-corruption issues and the promotion of community accountability and transparency within a six-month project entitled “Promoting Democratic and Civic values for Youth”.